Have you always wanted to try Wonder Clips from Clover? This is the week - regular price is $9.99 - this week, they are only $5.99!!! 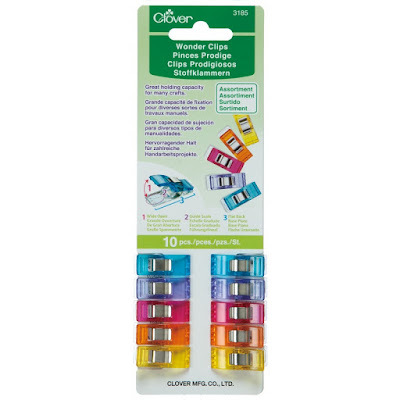 Wonder Clips are a great alternative to pins, especially when doing bindings, working with heavy weight fabrics and more. The flat surface allows them to glide smoothly and easy feeding to the presser foot.